No one wants to contract the cold or flu but unfortunately, it happens. Personally, I never take a flu shot but what I always do is keep certain ingredients on hand for homemade cold and flu remedies. I really hate taking medicine, especially since you just never know what truly goes in to those over the counter syrups and pills. So, I thought this year, I would gather a list of homemade remedies to fight all of the symptoms of the cold and flu, you know, just in case. I found some wonderful home remedies that are so easy to make and contain ingredients that you probably already have in your pantry. It’s always a good idea to try different remedies, just to see what works. You could get the ingredients for all of these 25 home remedies and not spend much, so if you wanted to try them all they’re not terribly expensive. In fact, you’ll save money over buying over the counter cough drops, decongestants and cough syrups and you’ll save yourself from having to visit the doctor. From teas to soups, you’re going to find the perfect remedy for your family and you won’t have to worry about running out to the store at midnight to stop those coughing fits. Making your own cold and flu remedies is great. Not only do you get to ensure that your family isn’t taking in any harmful chemicals from medicines, but you save so much money, and you can avoid any ingredients that someone in your family may have intolerance to. I love a good life hack and these homemade remedies are some of the best. And if you love life hacks, too then be sure to check out these 25 restoration hacks to turn old things new again. 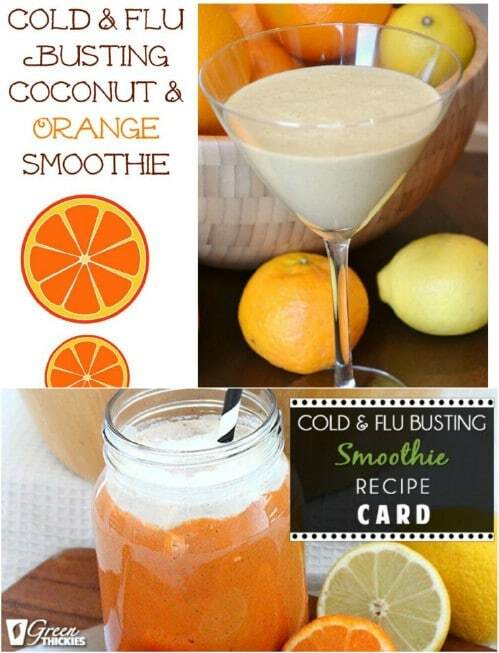 Now, if you’ve never made your own cold and flu remedies you are really missing out. These also taste much better than those over the counter syrups and drops, so you’re much more likely to get your little ones to take them. Plus, they work wonderfully. 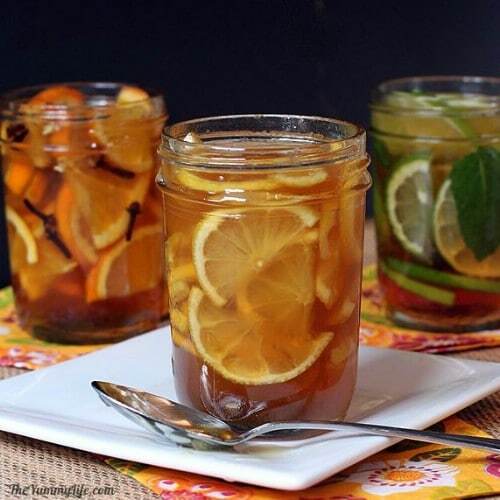 Ward off those cold and flu germs this season with some good old fashioned homemade remedies! 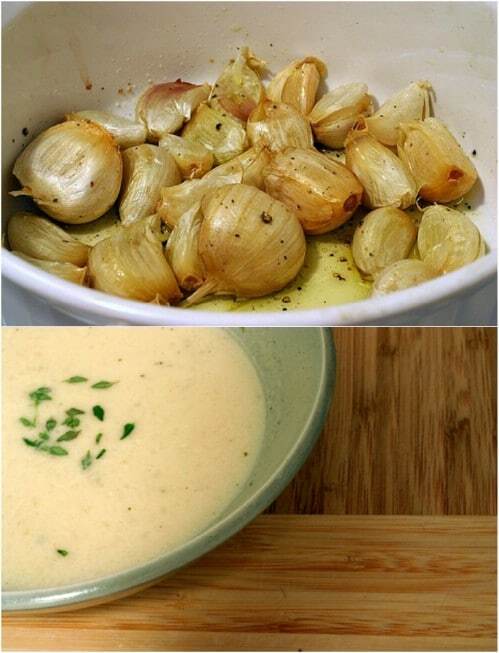 What makes this soup such a potent cold and flu killer is the garlic…and it has 44 cloves of garlic in it. It’s not so potent that it would ward off a vampire however. It actually tastes really good and has onions, chicken broth, thyme, and a host of other things in it that will help to soothe those cold and flu symptoms…and it’s really easy to make. Apple cider vinegar is good for a number of things around the house, including helping to soothe those cold and flu symptoms. 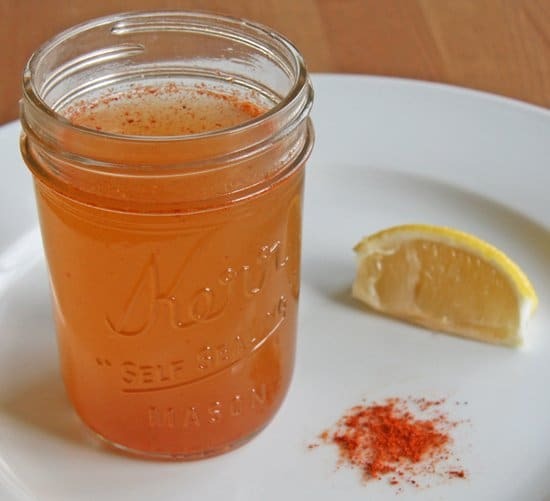 You just put apple cider vinegar in a glass and add honey and cayenne pepper. The honey and pepper are also great for helping to kill those cold germs and honey helps to soothe a sore throat. What could possibly make you feel better when you have a cold than a nice warm bowl of classic chicken noodle soup? I make this every year…several times actually…when we start feeling a bug coming on and it’s wonderful. 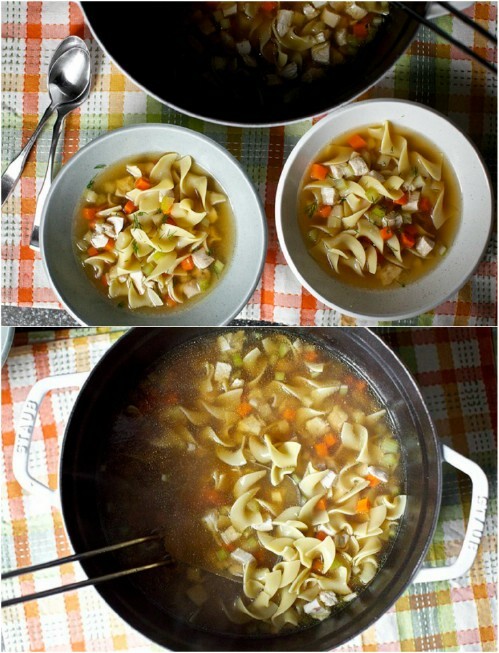 With egg noodles, carrots, onions, celery and chicken broth, there just isn’t anything else in the world that will make you feel all warm and cozy like this chicken soup. Oranges are packed with vitamin C and coconut oil helps to reduce the length of the cold and flu. When you put them both together into this smoothie, you get a delicious treat that not only tastes good, but helps you to combat those germs. 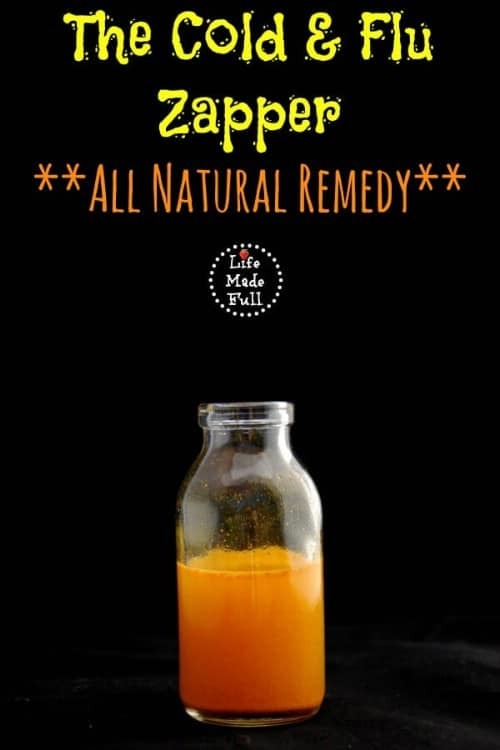 This also has ginger, which is a natural pain reliever and clementines that are also packed with Vitamin C.
This all natural recipe contains turmeric, cayenne pepper, raw honey, lemon and garlic to create a remedy that will shorten the length of your cold or flu and help you to feel better at the same time. All of the ingredients have healthy properties, right down to the quarter cup of water that is included. 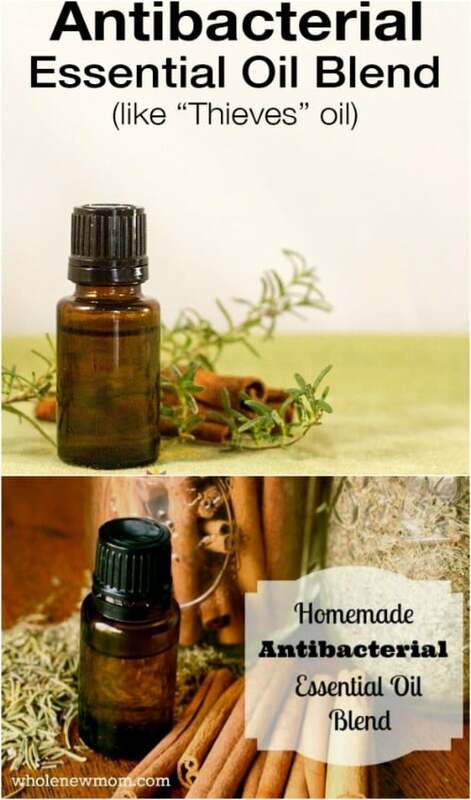 This homemade remedy is a copycat of Thieves essential oil blend and it’s great for helping to eliminate germs that cause the cold and flu. 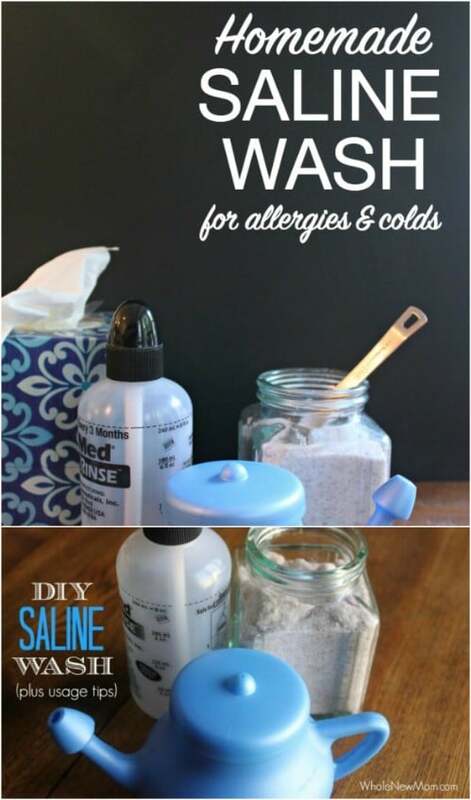 It’s really simple to make and you can use it in a number of ways to help fight germs this season. Clean the house with it, use it as a mouthwash or diffuse it in the air to kill those germs and get over your sickness much faster. Saline spray can be a life saver when it comes to stuffy noses and breathing issues that are related to colds and flu. This DIY version is so much cheaper than anything you can buy over the counter and works just as well. Plus, you probably already have everything you need to make it, so it’s much more convenient to use. You just need table salt and warm water! Elderberry is great for boosting your immune system, which can help you to avoid the cold and flu all together. Or, if you have already contracted the germs, boosting your immune system can help you to fight them off and get well much more quickly. This elderberry jam is not only an immune booster, it’s also delicious and really easy to make. Make up a batch now before cold and flu season arrives so you’ll be prepared. If you can’t get the kids to enjoy elderberry in any other form, I can almost guarantee that they will eat these elderberry popsicles. Elderberry gives you so much immune boosting power that it’s nearly essential that you keep it on hand for cold and flu season. These easy to make elderberry popsicles will have the kids begging for their medicine – plus the cold helps to soothe your throat. Make up a batch of this elderberry syrup long before it’s time for those cold and flu germs and enjoy it with your pancakes or waffles every morning. 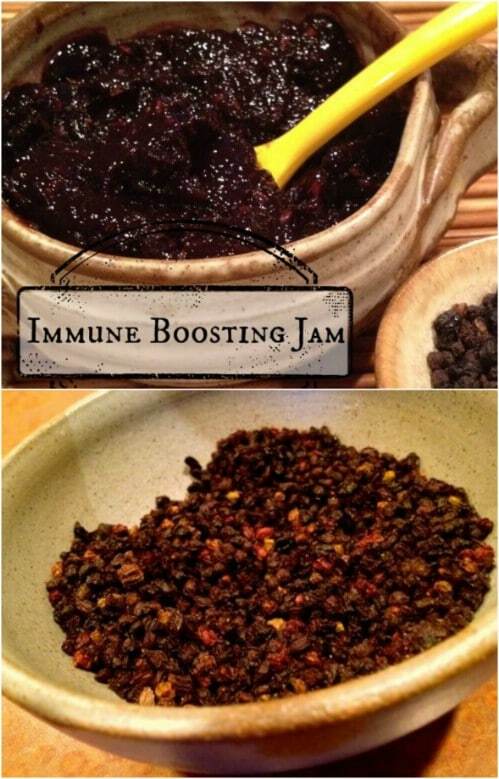 It will help to boost your immune system and keep you from getting sick. And, if you do catch a cold, you can still enjoy your pancakes with elderberry syrup and help yourself to get well faster. Or, just take a spoonful when you feel the cold or flu coming on. Kids are never going to argue about taking their medicine if they’re in the shape of gummy bears, right? These flu busting gummy bears are not only tasty, but they have ingredients to help your little ones (or you) get over the flu and get on the path to feeling better quickly. They contain elderberry syrup, coconut oil and water, as well as gelatin powder to help them keep their shape. Tea is always my favorite thing when I’m feeling under the weather. 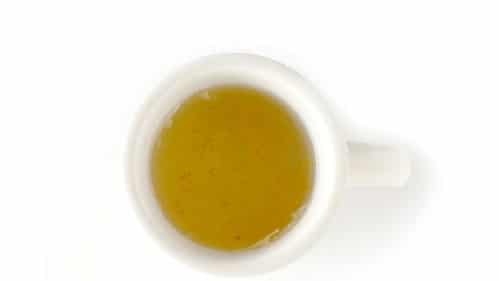 This ginger tea not only has that wonderful warming feeling but it has ginger, which is a natural pain remedy and boasts a number of other healthy properties. It helps with congestion and motion sickness, so it’s perfect for fighting off cold and flu symptoms. You’ll need fresh ginger for this, so hit up your local farmer’s market or natural foods store and keep some on hand for the upcoming season. Vick’s was a staple in my house when I was growing up. My mom would always rub it on our chests to help fight congestion or put it in a humidifier to help clear up our noses. It’s still available over the counter, but the homemade version is always so much better, right? This homemade decongestant rub is really easy to make and contains none of those harsh chemicals that the over the counter stuff has. Coconut oil, raw honey, lemon juice and a bit of cinnamon are all you need to mix up a really effective cough and cold syrup. The honey helps to soothe your throat and the lemon juice and cinnamon effectively fight off those coughing fits. Coconut oil has been used for centuries to fight off bacteria and viruses and combined, these make a really powerful cough syrup…and one that tastes so much better than those over the counter medicines. The ingredients in these homemade cough drops are all effective in soothing your symptoms and helping to stop cough. They also taste a bit better than traditional cough drops so you’re much more likely to get little ones to try them. You just mix coconut oil, raw honey and cinnamon with a drop of essential oil and then mix until the ingredients are whipped. Then pour into ice cube trays or candy molds and freeze. These store in the fridge for several weeks. This homemade cough remedy not only soothes your sore throat, but it’s potent enough to stop even the worse cough. It’s a spicy, honey cider syrup that is filled with ingredients proven for their health benefits. You just add apple cider vinegar, honey, water, ginger and cayenne pepper into a small jar and mix well. store this in the fridge for weeks. This immune boosting herbal tea has astragalus root which is great for boosting the immune system and getting you over the cold and flu much more quickly. It also has rose hips, lemon grass, cinnamon, ginger root and other ingredients that help to boost your immune system and soothe those cold and flu symptoms. This Lemon Rosemary Honey syrup is great for soothing a sore throat and it helps to fight the symptoms of the cold and flu. Make it up ahead of time and store it in the fridge for use in your hot tea. You can also enjoy this before cold and flu season arrives to help ward off those germs and shorten the life of the common cold. Lemon, ginger and honey all contain antibacterial properties and so many other wonderful things that will help you to fight off the common cold or flu. This is so easy to make, too. You just quarter lemons and add them to a jar, add in your grated ginger and then cover with raw honey. Close it up tightly and store in the refrigerator for weeks. When you need it, just add a teaspoon or more to a cup of hot water. This cure all is a warming drink that contains Echinacea, which helps you to fight off germs. It also has ginger, cayenne pepper (which clears out the sinuses) and lemon juice. Honey helps to soothe your throat. The entire drink will make you feel all warm and cozy and it contains ingredients that fights every single symptom that you will have with the cold or flu. Sage is something that I always acquainted with Thanksgiving…for the stuffing, you know. Well, you can also use it for other things, including this amazing throat soothing tea. It’s actually been used to soothe sore throats and coughs for centuries. 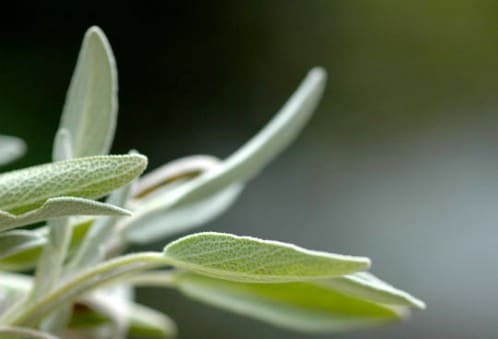 You’ll need dried sage which you can get at most health food stores. To make the tea, you just cover the dried sage leaves with hot water and steep for a few minutes. 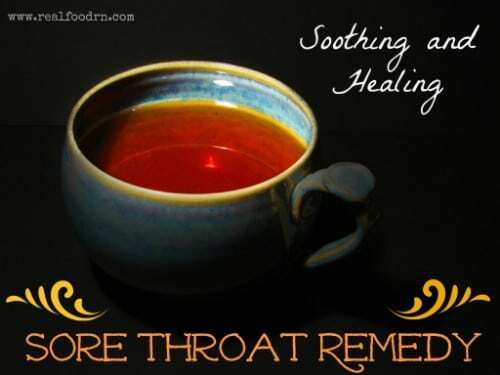 This sore throat remedy has bone broth, ginger root, garlic and sea salt, as well as lemon to instantly soothe a sore threat and help to heal it. The ingredients all work together to kill bacteria and help your sore throat to heal much more quickly. Just add all of your ingredients, aside from the lemon, into a pan and simmer. Cool and then add your lemon and enjoy. This turmeric milk is an old Indian recipe and it’s really effective. You’ll need whole milk, turmeric powder, black peppercorns, cardamom, ginger and saffron to make it, as well as something sweet like raw honey. Turmeric has a number of health benefits and has been used as a home remedy for the common cold, sore threat, toothache and a number of other ailments over the years. This remedy combines the health benefits of turmeric and other ingredients to help you fight off that cold quickly. This wellness shot recipes comes from Lexie’s Kitchen and is a great alternative remedy to may over the counter cold and flu medications. It is completely natural and it contains no gluten, dairy or eggs. 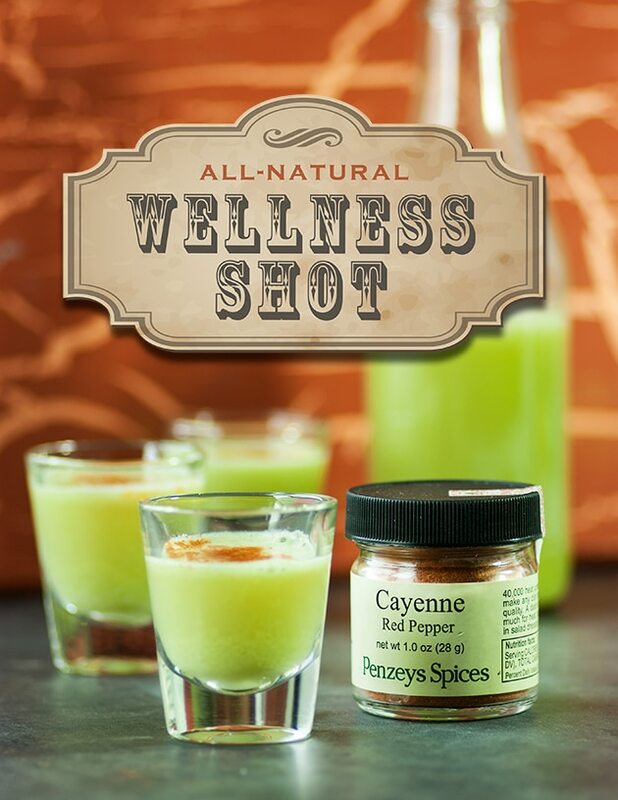 The shots combine ginger which is a natural pain remedy with cayenne pepper which is said to cure all that ails you. Just one of these will help you to feel better all day long. Go ahead and give it a shot!